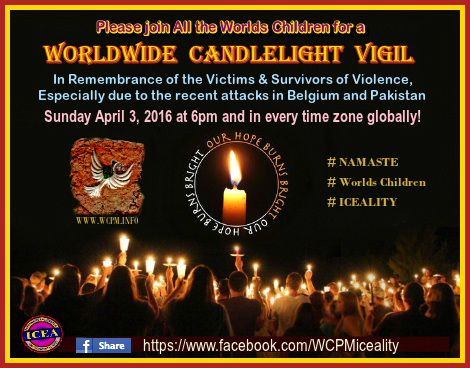 All the Worlds Children are invited to hold a 'WORLDWIDE CANDLELIGHT PEACE and PRAYER Vigil' for the Victims and Family's of Violence - especially those in the recent attacks in Belgium and Pakistan. ARK in Berea (ICEAnews) – With the terrible reality of this weekend’s Lahore bombing still sinking in, All the Worlds Children are gathering on Facebook this evening to pray and to light a candle in Solidarity with the people of Pakistan and Belgium. “Collectively we will all share our Light and Love to those who need it the most.” Ambassador Renate. “Given the many people the world over that still have family back in Belgium and Pakistan, that are seeing the terrible pictures after this months bombing have left many people horrified beyond words, so this is a gesture of Iceality in action”, says Ambassador Renate along with Baba Brohi, Pakistan Peace Emissary of Pakistan World Peace Daily, which is hosting this evening’s vigil and Ms Julia Roberts, WCPM Advocate of Lahore, Pakistan along with Kainat Khan, Pakistan Youth Peace Ambassador. “Namaste, the importance is to hold a prayer, to pray to the almighty God, to help the families, to support the families, who have lost their loved ones,” says Baba Brohi. He says the event is about praying for the victims and their families. “We are trying to remember all the victims and bring all their friends and families together with All the other Worlds Children, to morally support the families of the victims,” says Baba Brohi. • The March 22 bombing in Brussels, left more than 30 people dead and more than 200 wounded after explosions two blasts hit the international airport; another struck a metro station. • The March 27 Easter bombing in Lahore, which killed more than 70 people and injured hundreds, has been condemned by Muslim groups all over the province. 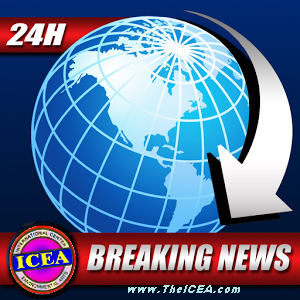 ARK in Berea (ICEAnews) – In what she calls ‘heinous’, Ambassador Renate is condemning the Easter bombing of Christians in Lahore, Pakistan. In a tweet, Ambassador Renate Jakupca says her thoughts and prayers are with all those killed or injured in the bombing yesterday at a park in Lahore that was crowded with families, with many women and children among the victims. At least 70 people were killed and more than 300 wounded. A breakaway Taliban faction that has publicly supported the Islamic State group has claimed responsibility, saying it targeted Christians celebrating Easter but most of those killed were Muslims. In Related News: Pope Francis is calling on authorities in Pakistan to “make every effort to restore security and serenity” to Pakistanis, especially to religious minorities in the predominantly Muslim nation. we are distressed by the pictures and of the news of the loss of lives. We must utterly reject the use of deadly acts of terror. 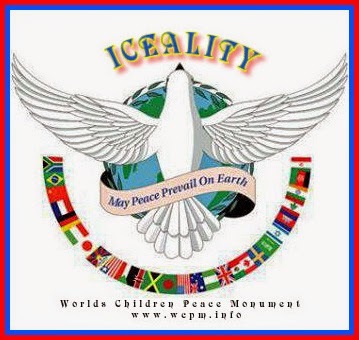 values of Iceality – ‘Becoming more like Angels than Human Beings’. comes under challenge from these and other acts of evil. especially the children of all those affected in Belgium at this terrible time. Ambassador Renate, First Lady of Peace. Ostern ist wahrscheinlich einer der wichtigsten weltweit mit vielen Traditionen und Bräuche. Mit dem Ende der Karnevalszeit am Aschermittwoch ist die 40 Tage lange Fastenzeit begonnen. In der Woche vor Ostern Karwoche genannt wird, beginnt mit dem Palmsonntag. An der historischen ARK in Berea, jedes Jahr am Abend vor dem Palmsonntag bereite ich zusammen mit David und meine Freunde, die Palmzweige . Wir dekorieren in der Regel die Zweige mit Schlaufen, Brezeln und andere Snacks, die dann getroffen werden und am Palmsonntag in der Kirche geweiht. Wer ist der letzte Morgen wird auf die Tage in der Karwoche bis bekommen lustige Namen. Als Kind wollte ich immer zuerst aufstehen, so dass ich nicht den ganzen Tag "Palmesel" genannt werde. Am nächsten Tag ist der Karfreitag und an diesem Tag sowie Aschermittwoch, sagt es der Kirche Tradition, dass man kein Fleisch verzehren sollte. Wenn Sie an diesem Tag zu spät aufstehen, genannt "Karfreitag Ratschn". Mit dem Ostersonntag findet die Fastenzeit ihr Ende und um 5:00 Uhr morgens nehme ich gemeinsam mit meiner Familie jedes Jahr am traditionellen Osterfeuer vor der Kirche teil. Um 14:00 Uhr findet auf der Schmitten die alljährliche Ostereiersuche statt. Letztes Jahr war ich dort mit mein Mickey. Obwohl das Wetter nicht so schön war, hatten wir jede Menge Spaß. Es befindet sich dort ein großer Schneeberg, wo Ostereier mit verschiedenen kleinen Gewinnen versteckt sind. Kinder und auch Erwachsene sind eingeladen an dieser Suche teilzunehmen, wo es gilt das goldene Osterei, indem sich ein stolzer Geldbetrag von $5.00 verbirgt zu finden. Vielleicht haben ja Sie heuer das Glück und finden das goldene Ei ! Today is International Women's Day - March 8th, 2016. You may have noticed that there are a lot of International "Day"s popping up: "National Frozen Foods Day" was on Sunday, and later this month there's an International Goof Off Day. International Women's Day isn't an arbitrary "Day" invented in the age of the internet to spark funny conversations on Facebook. It was founded more than 100 years ago to celebrate the battles on the forefront of gender equality. At the time, garment workers in the United States were striking for fair wages, and women in dozens of countries were fighting for the right to vote or hold public office. In the Austro-Hungarian Empire alone, there were 300 demonstrations on International Women's Day. Today, the fight for women's rights looks different – in huge part because we've come so far. But make no mistake, there is progress we have yet to make. Women are still facing discrimination throughout the world, and in different cultures those fights look different. Please join All the Worlds Children us in celebrating International Women's Day by first taking a moment to appreciate how far we've come, and how many women have fought tooth and nail to secure the rights that we have today. Then join us to build on those victories by adding your 'Liking and Sharing" one or more of these campaigns - or start your own WCPM campaign to push for women's rights in an area you didn't see represented here. Thank you for all that you do, to defend and advance women's rights around the world.